In November of this year, I accompanied photographer Trevor Paglen to Washington DC to take aerial photographs of the NSA, NRO and NGA. Creative Time Reports helped facilitate the production of the helicopter shoot. Creative Time Reports also co-published the images and text with Laura Poitras and Glenn Greenwald's newest media venture, The Intercept. Here is a portion of the text written by Paglen as it appeared on Creative Time Reports. "The photographs below, which are being published for the first time, show three of the largest agencies in the U.S. intelligence community. The scale of their operations were hidden from the public until August 2013, when their classified budget requests were revealed in documents provided by Snowden. 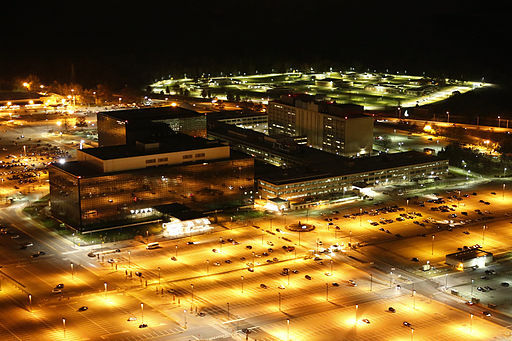 Three months later, I rented a helicopter and shot nighttime images of the NSA’s headquarters. I did the same with the NRO, which designs, builds and operates America’s spy satellites, and with the National Geospatial-Intelligence Agency (NGA), which maps and analyzes imagery, connecting geographic information to other surveillance data. The Central Intelligence Agency—the largest member of the intelligence community—denied repeated requests for permission to take aerial photos of its headquarters in Langley, Virginia. My intention is to expand the visual vocabulary we use to “see” the U.S. intelligence community. Although the organizing logic of our nation’s surveillance apparatus is invisibility and secrecy, its operations occupy the physical world. Digital surveillance programs require concrete data centers; intelligence agencies are based in real buildings; surveillance systems ultimately consist of technologies, people, and the vast network of material resources that supports them. If we look in the right places at the right times, we can begin to glimpse America’s vast intelligence infrastructure." I took the flight with Trevor and shot this video, which accompanied the piece.